I would like to introduce you to Brittany, she owns Brittany’s Homemade Heaven Vegan and Gluten Free baked goods. I love baked goods but want to be sure they are made with ethical ingredients, I have found this can be challenging, so I always like to encourage and support products that eliminate the use of animal products. I also have quite a few friends that are gluten or lactose intolerant so always looking for products to share for them. 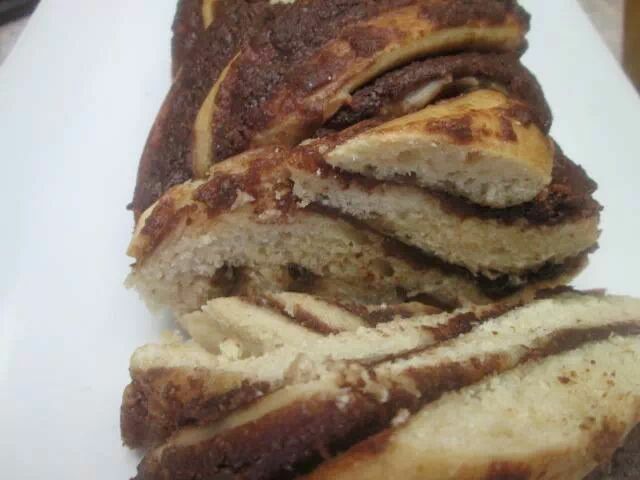 Brittany made me this fabulous bread with the incredible Vegan Nutella (Recipe below, I highly recommend). 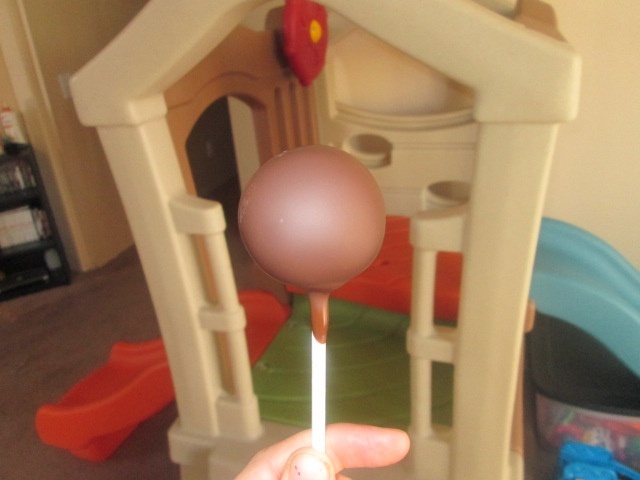 She also made me cake pops. I had no idea they would be that good! I try to limit my sweet intake but these were a great treat and are especially good for sweet snackers. Brittany can also make a variety of other baked goods, she shared the details in her interview below. Where are you from? And can you tell us a little about you? I am was born and partially raised in South Lake Tahoe, California. I moved up and down Cali, until my Sophomore year, where I stayed and graduated high school in Cool, California. I am a mother of one wonderful baby girl and wife to an infantryman in the US Army. What got you interested in baking? I have always, for as long as I can remember, loved cooking for people. I remember the first actual dinner I made was chicken schnitzel with garlic potatoes! Not very vegan, but that is changing. 🙂 Since that night, all I ever wanted to do was be a chef. Can you tell us how you learned and when you started baking? My love for cooking shifted from cooking whatever I could, to specifically baking when I was a senior in high school. I am a very artsy person and there’s something different about making beautiful sweets, versus making a delicious dinner. I made a PlayStation controller cake for a friend’s birthday, a school bus for my bus driver, and a soda can for a favorite teacher who loved Mountain Dew. Seeing everyone’s faces when I brought them their cake and hearing how delicious they were are two of the best feelings in my world. I taught myself many different techniques, researched them and learned by a lot of trial and error. More so with my vegan and gluten-free recipes, because all my life I never thought to try something new. Cooking without eggs and butter is a huge challenge, but it has also lead me to much more creative recipes. I have even invented some of my own! I have taken a few classes regarding food as well: food science, nutritional studies, and I have my food handlers certification. As of right now, my favorite things to make are walnut butter and lemon tarts. I am working on a vegan lemon tart recipe right now actually! My favorite thing to eat is homemade bread, with homemade butter and homemade blackberry jelly. Homemaking foods is one of my passions. I homemake many ingredients, including my own cheeses (vegan or dairy), rice flour, butters, and vanilla extract. Tell us a little bit about your products, what you offer and if you have like a mission statement for your company? I offer a very wide variety of vegan and/or gluten-free baked goodies, as well as traditional ones (made with wheat flour, butter, eggs, etc.). I mill my own gluten-free flour from organic brown rice and grind my nut butters in my kitchen! I want to share my baking with everyone I can so that they are able to enjoy delicious food while maintaining their lifestyle choices. I started my bakery partially for myself, but more my family. My husband will be out of the Army soon and I have been a stay at home mom since our baby girl was born. I have wanted to contribute to our family income for so long but it’s been difficult with a baby. Now, she’s a toddler and I am finding myself with a bit more free time to pursue my passions, like baking! 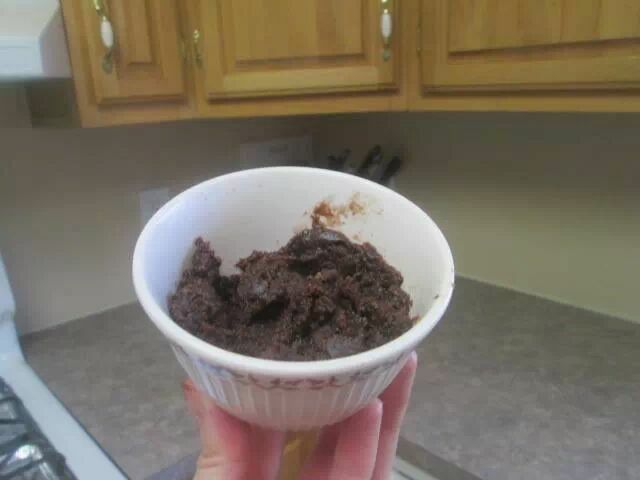 All throughout my years, people have told me that I should find a career baking or cooking, so here I am! Pulse all ingredients in a food processor and then scrape down the sides. Repeat twice and then blend at the highest speed for about a minute. Scrape down again. Repeat until you reach desired consistency. *** These ingredients are suited to my personal tastes! If you want peanut butter, use peanuts instead! You can use all agave, all maple syrup or any combination. Add 1 tbsp more sweetener or oil for easier spreading. I would not recommend using olive oil, but you can use coconut, vegetable, canola or whatever you have! This entry was tagged Colorado, Colorado Springs. Bookmark the permalink.